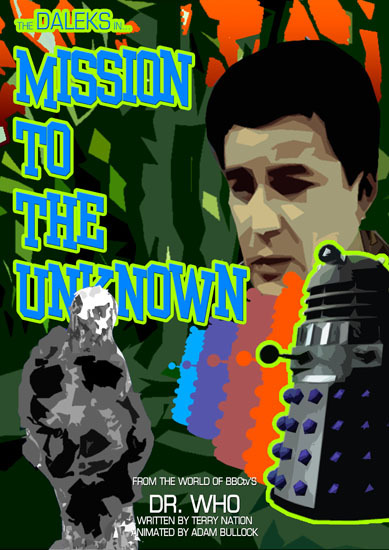 Having received such a positive response to Adam Bullock’s Feast of Steven animation yesterday, I thought it an appropriate time to link his colour animation of Mission of the Unknown. This is the second animation for this one part serial that I’ve posted so far and I’ve also previously linked a reconstruction. One of the joys of being a Doctor Who fan is observing the fantastic work of the very talented people who devote so much of their time to reimaging these lost Who episodes. Enjoy!